We often run into translators that work on a Mac that are having issues finding a CAT tool that they can work with. Then there are the translators that are investigating whether to buy a Mac or PC. Fluency runs on .Net (like most of the main tools out there) which is a Windows based technology, so we want to take this chance to explain how to run Windows software on a Mac. There are a couple ways that you can run Fluency on a Mac, but they don’t come without some additional work. We aren’t opposed to developing a Mac version, but it isn’t exactly a straightforward process. So, until we have a native Mac version, we have to run Windows on a Mac a use Fluency. Currently for prospective users, there are advantages to PCs but Windows based software can be run on a Mac as well – including Fluency. The easiest option to get Fluency on your Mac is to install Parallels which costs about $80. This will also require a license of Windows. Parallels is one of the most popular methods of running Windows programs on a Mac, so this solution allows you more flexibility beyond just installing Fluency. Boot Camp is another option, which will allow your Mac computer to boot in either the OS X operating system or Windows. Boot Camp is free and you still need a Windows license, but in this case you have to reboot if you want to move back over to your normal interface. VMware is another option which is also free (except for the Windows license) and similar to Parallels, but not integrated in the same way. Once you have one of these options on your Mac, you can install Fluency without any issue. As far as a general decision between Mac and PCs, everyone has an opinion. There are good reasons to buy either. In our company’s experience in the translation business, PCs natively give you more options for CAT tools and fewer interoperability issues because PCs still have the majority of the market. For many translators, if you don’t want to try one of the Parallels/VMware/Boot Camp options, it might be worth investing in a PC even if you use a Mac normally if only for saving your time avoiding work-around issues between PC/Mac. This is still in many ways a Microsoft business world (they have the vast majority of the market) so that should be a consideration when looking at computer options. As far as mainstream translation tools go, only online tools and WordFast run natively on Macs (Swordfish, OmegaT, and some others also are Java based, but they aren’t as big). You can, as already documented above, use Boot Camp or Parallels or VMware, but those are just Windows-on-a-Mac options, not true Mac options. And as much as online tools will tell you all the advantages of the “cloud” for interoperability, online software just doesn’t have the resources that desktop software does because it’s in a browser. 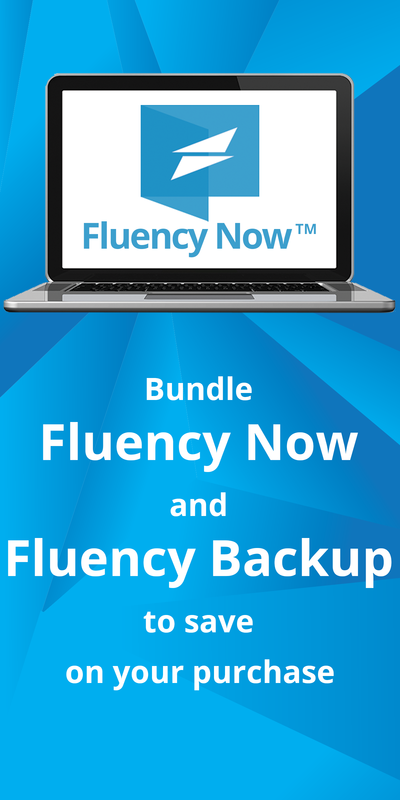 If you are interested in running Fluency on your Mac and need help, let us know and we will help you out. Getting any of the Windows alternatives up on a Mac isn’t always easy so we’re here to help. Just contact us and we’ll make it work for you.